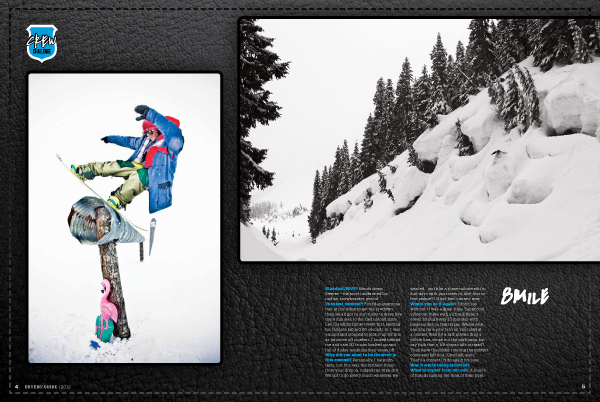 Sample spreads from the Snowboard Canada Crew Challenge feature. 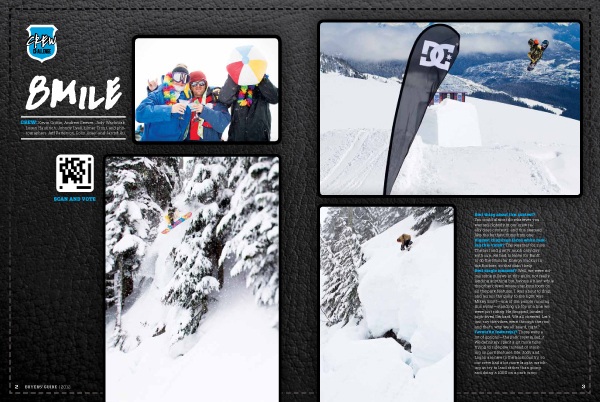 Sample spreads from the Snowboard Canada Crew Challenge 2011. 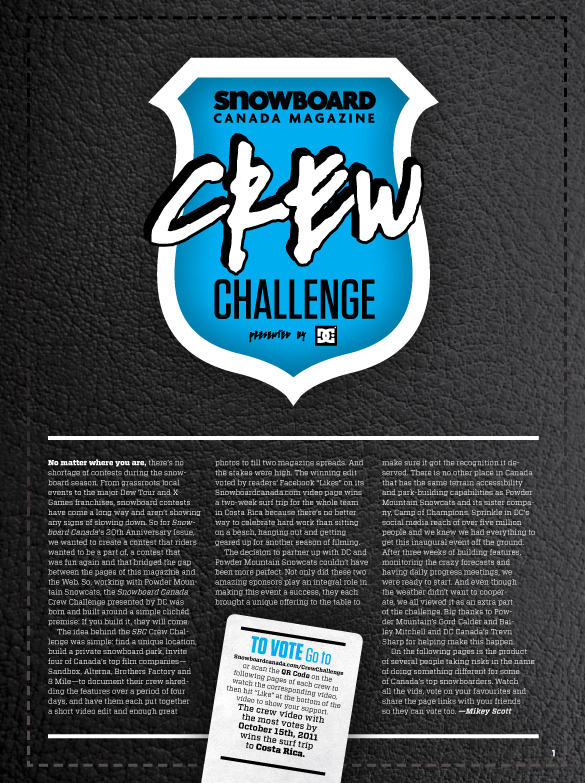 Also an animated logo for the video submissions.